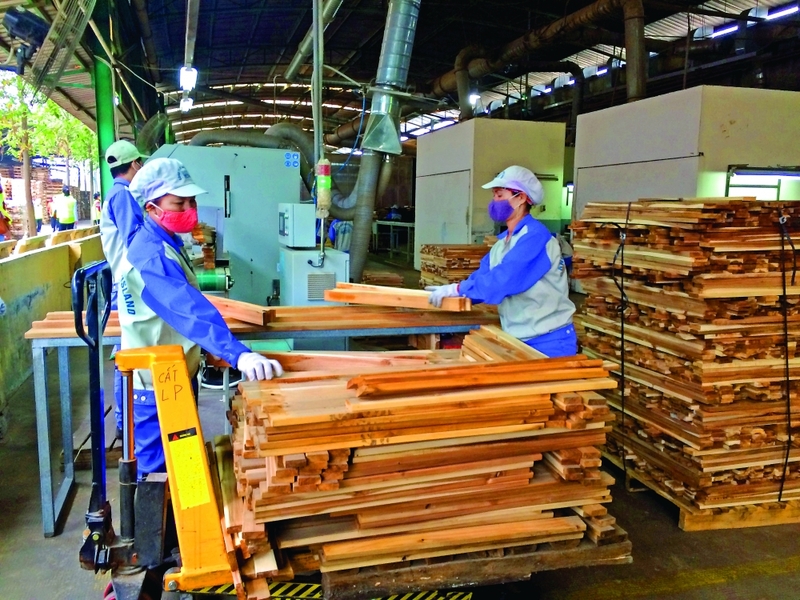 (VEN) - Vietnam’s exports of wood and timber products reached a record high of about US$8.85 billion in 2018, with the United States its biggest market, emboldening the forestry sector to target exports of US$10.5 billion in 2019. According to Nguyen Ton Quyen, head of the Vietnam Timber and Forest Product Association, 2018 was a turning point for the forestry sector, with Prime Minister Nguyen Xuan Phuc chairing a discussion on measures to expand timber and forestry processing and export rapidly. Vietnam also signed the Forest Law Enforcement, Governance and Trade (FLEGT) with the European Union, joining efforts to curb illegal logging. Wood businesses have made strong changes in technologies and governance to catch up with market trends. The Woodsland Joint Stock Company is a typical example, affirming its position in the development and processing of timber materials from plantation forests. The company has invested in an automated wood processing center from sawing and drying to surface treatment, with total capacity of 150,000cu.m per year in the Thang Quan Industrial Cluster in Tuyen Quang Province’s Yen Son District. With its new technologies, the company has saved 40 percent of raw materials, while its labor productivity has increased. A Forest Trends analyst, To Xuan Phuc, said Vietnamese businesses have made the most of advantages in terms of raw materials and human resources. In addition, export markets have expanded, resulting in strong exports of timber and wood products. Dien Quang Hiep, director of the Minh Phat Co., Ltd., said this is a favorable period for businesses to export their timber and wood products to the US market. The company exported US$20 million worth of timber and wood products to the US in 2018, and is expected to ship US$22 million worth of these commodities in 2019. Nguyen Ton Quyen said Vietnam should not hold out expectations of the EU, as the market annually imports US$700-800 million worth of timber and wood products from Vietnam. China is also not a promising market, as it mainly imports raw products. The strongest potential markets are the Republic of Korea, Japan and the US. Indeed, much of the recent growth in Vietnamese exports has been to North America (mainly the US accounting for 37 percent of total exports in 2016), Northeast Asia (mainly Japan accounting for 24 percent of exports in 2016), and China (15 percent of exports in 2016). According to Nguyen Ton Quyen, Japan needs an estimated 50 million tonnes of wood pellets each year and is building three plants producing wood pellets in Vietnam’s Nghe An Province. Vietnam’s exports of timber and wood products to the Republic of Korea have seen fast and steady growth, and the export prospects are bright since the Republic of Korea needs wood chips, pellets, and artificial wood planks. The US remains the largest importer of Vietnamese wooden products. In 2019, Vietnam’s exports of timber and wood products to the US are expected to reach US$4 billion. 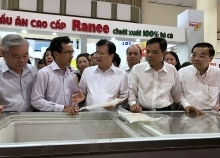 Dien Quang Hiep said the US has strict regulations and standards for imported products, and American experts visit the company every year to inspect its products and examine the work environment, the dust levels, and the age of the employees to ascertain they are over 17 years of age. According to experts, principles and compliance are the biggest obstacles for Vietnamese businesses in exporting timber and wood products to the US. In addition, there are missing links between businesses on both sides.